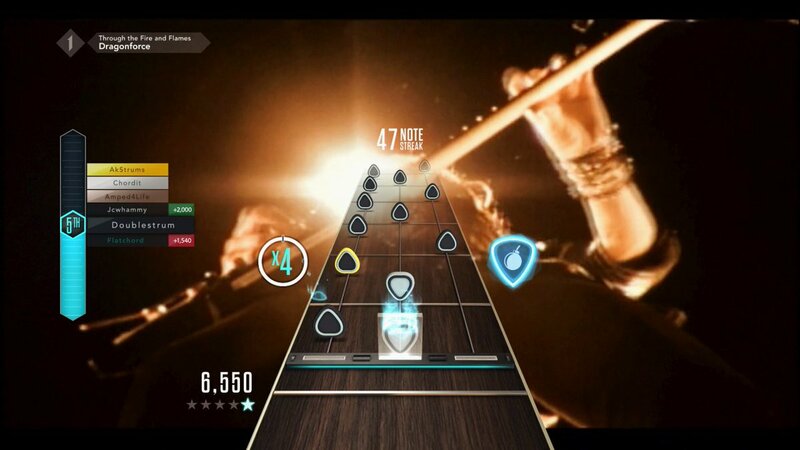 Activision and FreeStyleGames have announced the Guitar Hero Live SHRED-A-THON event, a special 5-day marathon that includes the debut of Through the Fire and Flames by Dragonforce. The Shred-a-Thon is live now on a special third channel in GHTV, and runs until Monday, February 8th at 7:00 AM PT. The playlist includes the following tracks on repeat: Dragonforce - Through the Fire and Flames, Alter Bridge - Cry of Achilles, Megadeth - Hangar 18, Lamb of God - Ghost Walking, and Trivium - Strife. Once the marathon concludes, Through the Fire and Flames will be added to the game's regular song catalogue. Every song in the Shred-a-Thon is also Rival Challenge-enabled, which means players have the option of competing against matchmade players in a head-to-head battle during each song.